The Supreme Court on Monday agreed to give an urgent hearing to the CBI’s petition alleging destruction of electronic evidence related to the Saradha chit fund scam case by the Kolkata Police commissioner and said it would come down heavily on him if he “even remotely” tried to destroy the evidence. The apex court said it would hear on Tuesday the probe CBI pleas which alleged that an extraordinary situation had arisen in which the top police officials of the West Bengal Police were sitting on a dharna along with a political party in Kolkata. On the other hand, the Calcutta High Court has listed for Tuesday the state government’s petition against the CBI’s attempt to question Kolkata Police chief Rajiv Kumar at his residence in connection with chit fund scam cases. West Bengal Governor K N Tripathi has submitted a report to Union Home Minister Rajnath Singh on the situation. Making his statement in the Lok Sabha, Rajnath Singh talked tough, describing the Kolkata incidents of Sunday as “unprecedented” and a pointer to “breakdown of constitutional machinery” in Bengal. The CBI applications accusing Kolkata Police chief Rajiv Kumar of destroying evidence related to the case and indulging in contempt of court were mentioned by Solicitor General (SG) Tushar Mehta before a bench comprising Chief Justice Ranjan Gogoi and Justice Sanjeev Khanna. The bench declined the SG’s plea to hear the two applications on Monday in the post-lunch session. It said during the interregnum it will be open for the SG or any other party to lay before the court any material or evidence to show that any West Bengal authority or police official is planning or trying to destroy evidence related to the case. Taking strong note of Mehta’s submission, the bench said “if the police commissioner is even remotely trying to destroy evidence, we will come down so heavily on him that he will regret”. The top court said all material or evidence and additional documents has to be placed before it by means of affidavit. West Bengal Chief Minister Mamata Banerjee has been sitting on a dharna since 8.30 pm on Sunday. On Monday she described her sit-in over the CBI’s attempt to question Kolkata Police chief as a “non-political” protest. At the outset, the SG said an “extraordinary situation” happened on Sunday in which CBI officials were arrested in Kolkata and Joint Director, CBI and his family kept hostage. He said it was under this “extraordinary situation” that the CBI moved these applications apprehending destruction of electronic evidence. He alleged that CBI officers were taken into custody by the West Bengal Police on Sunday when they had gone to the Kolkata police commissioner’s residence for evidence in connection with the probe into the Saradha scam. the state police and his family was kept hostage. 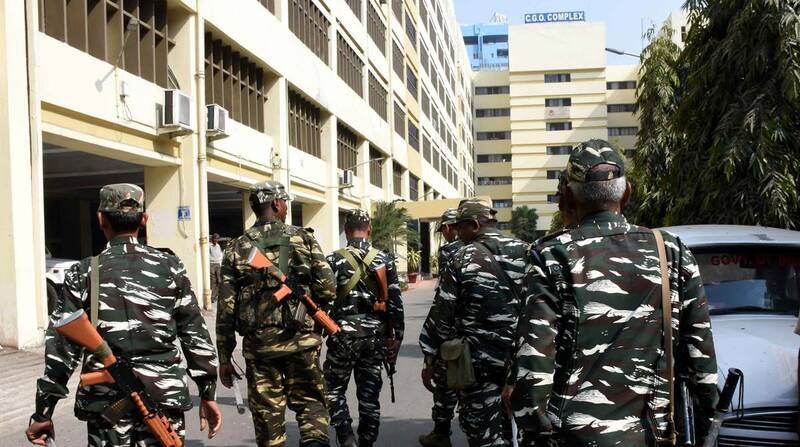 Even the CBI office at the CGO complex in Kolkata was under siege, the law officer said. When the SG was making the submissions, the bench asked him what was the position on Monday morning to which he replied that senior CBI officials have been released. 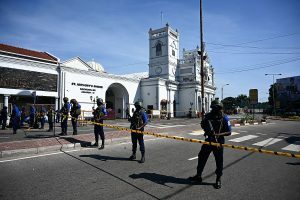 The joint director through teleconference told media channels about his house being laid under siege and the family being virtual hostage, the SG said. He said there was a need for immediate order as the Kolkata Police commissioner, who has come under the lens of the CBI, is likely to destroy the electronic evidence and material related to the Saradha scam. Mehta said that initially there was a discussion among the concerned officials in the CBI to move the apex court last night itself but it was decided to wait till Monday morning. The Kolkata CP had not responded to the CBI’s repeated summons to join the investigation and “when our team reached his residence, they were arrested,” he said. When the bench said the CBI officials are no longer under arrest, the SG replied that FIRs were being registered by the state police against the agency’s officials on a daily basis. Meanwhile, Justice Shivkant Prasad of Calcutta High Court refused a plea for immediate hearing following the state government’s petition against the CBI’s attempt to question city police commissioner, Rajiv Kumar at his residence in connection with chit fund scam cases. Following objection by the Union government counsel, the court refused to give the matter an immediate hearing and listed it for Tuesday.